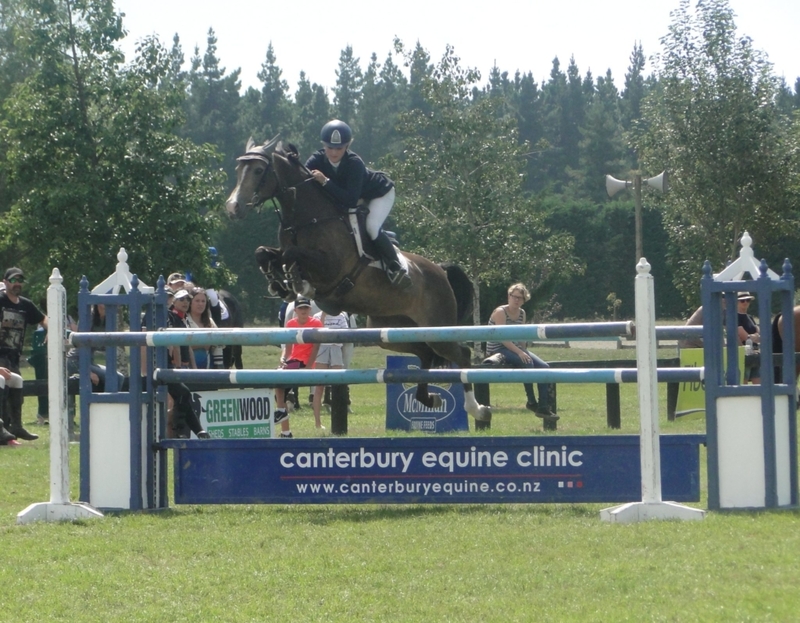 Canterbury Jumping and Show Hunter Championships 17-18 February were the hosts of this year’s South Island verse Victoria Trans-Tasman Young Rider team event. 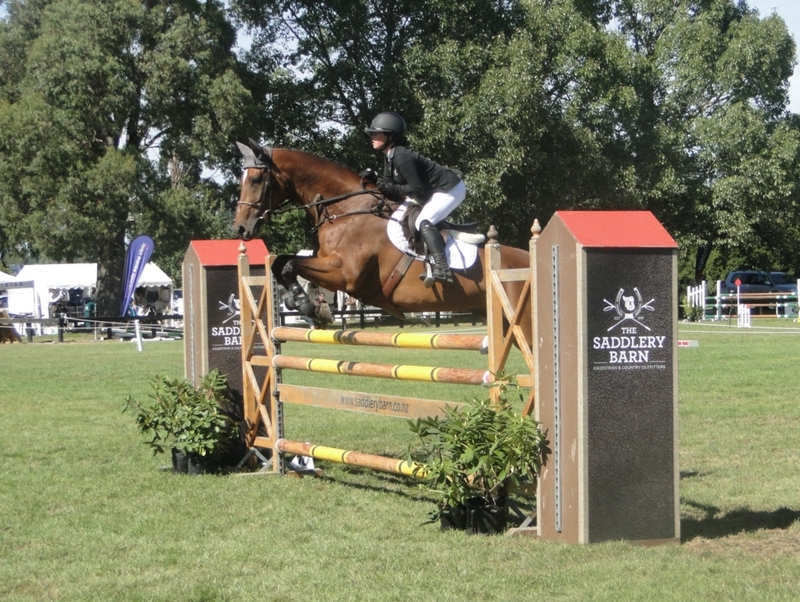 An annual event that alternates between Victoria and the combined areas of the South Island was created to give young riders experience competing in a team environment overseas. The rivalry between both sides is always strong and this year was no exception. The Birchbrook Equestrian Centre Trans-Tasman Young Rider team event consisted of a two round competition both days of the show with the two pools of four generously loaned horses swapping to make it a fair competition. The all-female South Island team got off to an incredible start on day one with three clears in both rounds to earn two bonus points. The Victorians had a day to forget with one fall and another with multiple faults in the first round. Their second round was significantly better, but it still left the Aussie’s on a total of 53 faults and the Kiwi’s on zero. This resulted in the South Island finishing with seven points from the day’s win plus bonus points and Victoria three points for second place. On day two the South Islanders knew they had a challenge ahead of them to rectify the issues the Victorians had the day before. Double clears from team seniors Kimberley Bird and Lucinda Askin weren’t quite enough to balance out the testing rides of Steffi Whittaker and Jaimee Bird. The girls fell just short by one rail to the Victorians, who had a much improved day. However the visitors didn’t gain any bonus points, therefore the South Island came out as the overall winners 10 points to 8 points. They retained the Juliet Scott silverware for another year and all were awarded with a beautiful Hinterland Dress rug and a bag of Fiber Fresh product. 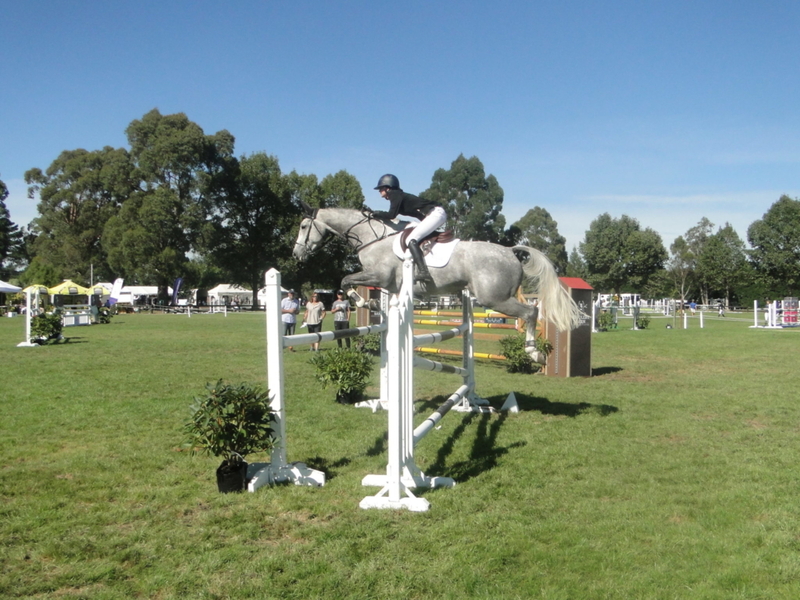 Most of the South Island team also competed on their own mounts in the FMG Young Rider. However the girls couldn’t take all the glory with lone male Todd Magner footing it to them on Awatuna Jonesy. It was a strong class with six through to the jump off over the John Vallance designed track. The first double clear came from Whittaker and Ngahiwi Cruise in a time of 45.17 seconds. Magner was next out and absolutely blitzed the course stopping the clock in 41.85 seconds and clear. Team captain Kimberley Bird and Cera Cassina were the next double clear, but couldn’t get near Magner’s time settling for third place in 45.71 seconds. Magner wasn’t the only male winning over the weekend. Consistent performer Harry Feast took out the big win aboard Double J Bouncer in the Dunstan Horsefeeds and Equifibre Horse Grand Prix. Bouncer was much happier with the dry ground conditions compared to the mud last weekend and was back to top form being the only double clear of the competition. Askin and Whittaker showed their talents as the two young riders in the class to finish on just four faults each and claiming second and third place respectively. Feast also won the Tavern Harewood Gentleman Rider award for his success over the three Canterbury shows. A difficult course was set for the fifteen combinations entered in the Country TV Pony Grand Prix. Clear jumping again proved essential with Grace Manera on Tallyho Scoundrel achieving the only double clear to claim the win. She won it in good measure too, having the fastest time in the second round. Sophie Scott aboard Benrose Playtime finished within the same second with one rail down finishing in bridesmaid position for the second weekend in a row. 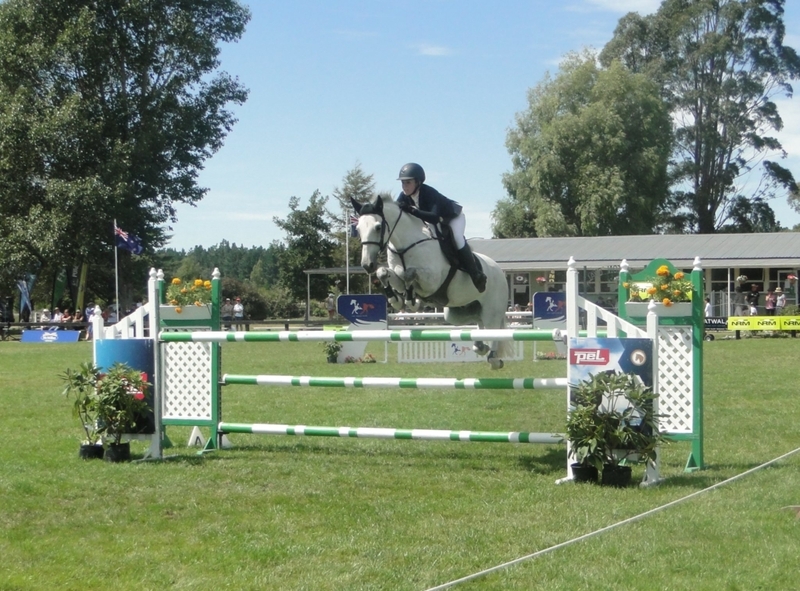 Dunstan Horsefeeds & Equifibre Horse Grand Prix: Harry Feast (West Melton) Double J Bouncer 1, Lucinda Askin (Ashburton) Portofino 2, Steffi Whittaker (Springston) Eros K 3, Nicole White (Invercargill) LC Samson 4, Rose Alfeld (Leeston) My Super Nova 5, Dani Maurer (Auckland) Dicavalli Don Quattro 6. Cavalleria Toscana Horse Mini Prix: Tegan Fitzsimon (West Melton) Double J Monarch 1, Kimberley Bird (Ashburton) Cera Cassina 2, Tamara Silcock (Nelson) Steel Magnolia 3, Tegan Fitzsimon (West Melton) Alacazam MH 4, Angela Frewer (Leithfield) Donala Dundee 5, Susie Hayward (Rakaia) Andretti 6. Country TV Pony Grand Prix: Grace Manera (West Melton) Tallyho Scoundrel 1, Sophie Scott (Wellington) Benrose Playtime 2, Peita Milne (Nelson) BG Lennox 3, Rosa Buist-Brown (Burnham) Junior Disco 4, Grace Manera (West Melton) Rednalhgih Cowan 5, Ella Wylie (Riverton) MF Spot Me 6. Canterbury Saddlery Pony Mini Prix: Anna Nalder (Cust) Mangakaraa Carbon Copy 1, Harriet Stock (Ashburton) EB Esperenza 2, Emma Gillies (Oamaru) A Patchy Pony 3, Sophie Geddes (Tai Tapu) Benrose Silver Shadow 4, Olivia Adams (West Melton) Sweet Cappuccino 5, Olivia Harkerss (Leeston) Cocamo 6. 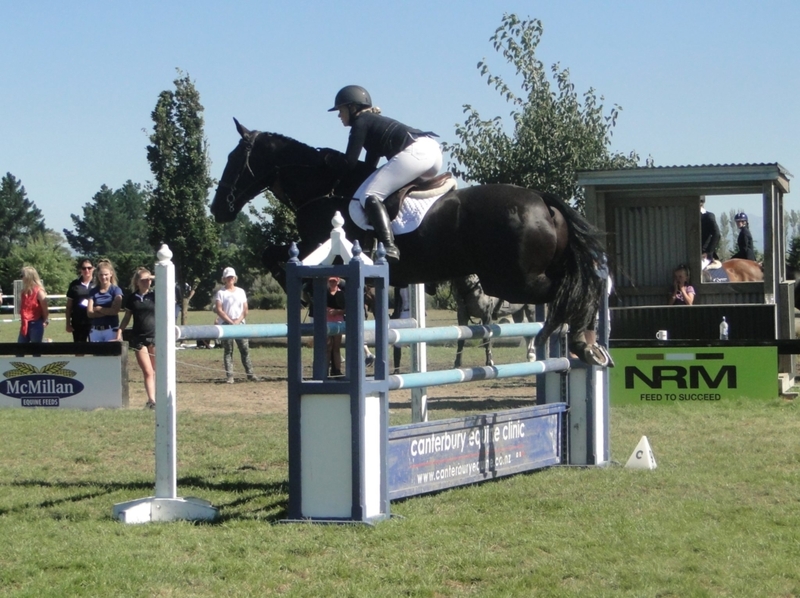 FMG Young Rider: Todd Magner (West Coast) Awatuna Jonesy 1, Steffi Whittaker (Springston) Ngahiwi Cruise 2, Kimberley Bird (Ashburton) Cera Cassina 3, Lucinda Askin (Ashburton) Portofino 4, Steffi Whittaker (Springston) Eros K 5, Sophie Scott (Wellington) Lakota 6. Dunstan Horsefeeds & Equifibre Pro Am: Mary Wakeman (Tuahiwi) MJ Lubeck 1, Tamara Silcock (Nelson) Steel Magnolia 2, Angus Taylor (Ohoka) Oak As 3, Devon van Til (Woodend Beach) Winterberg 4, Zoe Shore (Ashburton) Burberry 5, Lydia Truesdale (Christchurch) Allander Rocket 6. Dunstan Horsefeeds & Equifibre Junior Rider: Steffi Whittaker (Springston) Tribute OL 1, Rosa Buist-Brown (Burnham) Vali 2, Sophie Scott (Wellington) Benrose Roackstar 3, Sophie Townsend (West Melton) Kingslea Kiwi 4, Adam Ford (Kaikoura) Golden Mile 5, Olivia Harkerss (Leeston) Lacona Ammoe 6. Caledonian Holdings Amateur Rider: Candace Kingsbury (Ashburton) Miss Serendipity ll 1, Carissa McGregor (West Melton) Blytheburn Coruba 2, Rebecca Smithey (Rangiora) S.D. Amourosi 3, Jessica Sonne (Christchurch) Summer Haze 4, Courtney Thompson (Christchurch) Arovet Li 5, Claire Lewis (Hawarden) Ruweisat Ridge 6. Mitavite 6 year old: Harry Feast (West Melton) Double J Barman 1=, Sophie Scott (Wellington) Glenbrooke Centarose 1=, Kate Cavanagh (Geraldine) Wallflower 1=, Georgina Dormer (Christchurch) Casanova NZPH 1=, Rose Alfeld (Leeston) Cadenza NZPH 1=. East Coast Performance Horses 5 year old: Courtney Townsend (West Melton) Adele 1=, Sophie Scott (Wellington) Glenbrooke Rich As Roses 1=, Kirstin Beaven (West Melton) Dolly NZPH 1=, Tegan Fitzsimon (West Melton) Campari 1=. Birchbrook Equestrian Centre Trans-Tasman Young Rider Teams Event: South Island (Kimberley Bird, Lucinda Askin, Steffi Whittaker and Jaimee Bird) 1, Victoria (Max Height, Joel Pearce, Darcy Wade and Binnie Greig) 2. Birchbrook Equestrian Centre Trans-Tasman Young Rider Teams Event Loaned Horses and owners: Winterberg – Ice Cream Lovers Syndicate, Albert – Bridget O’Sullivan, Glenmark – Amanda Brown, Astek Reformer – Harkerss Family, Hammertime – Kelly Evans, Domani – Jordan Lloyd, Tribute OL – Katie O’Neil and Norfolk Rubicon – Danni Gubb.